THIS IS THE HOMEPAGE OF THE DOCUMENTARY ANNEX FOR THESE EAST COAST PAGES, meant in part to accompany my article "Social Geographies of Grievance & War: Nicaragua's Atlantic Coast Region in the First Sandinista Revolution, 1926-1934," Dialectical Anthropology, September 2012. 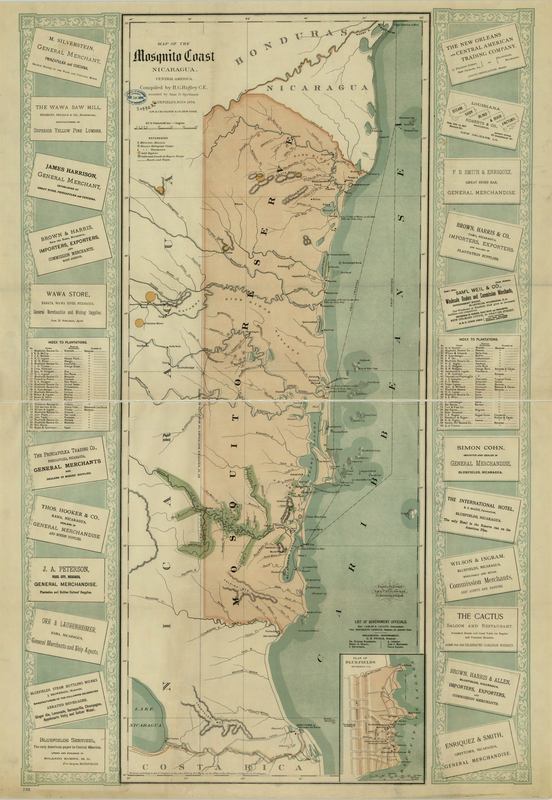 Immediately below one will find an interactive map that identifies key features of the Caribbean Coast's social & economic geography in the time of the Sandino Rebellion. 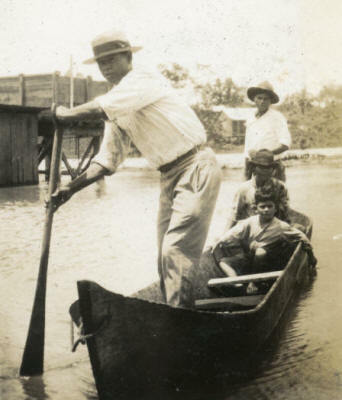 Below that are links to pages that examine various aspects of the rebellion on the Coast, focusing in particular on the EDSN's sporadic incursions into the region, from the first raids on the mining districts in March-April 1928 until the end of the war & Sandino's assassination. Most of these pages are currently in progress. Click on the legend labels to toggle various social-geographic features. This map is adapted from several published & unpublished maps. 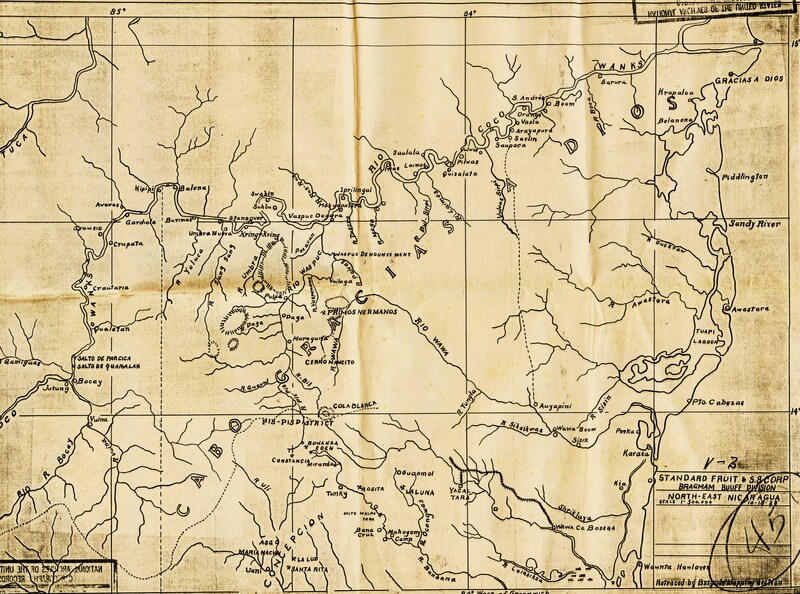 The "Unoccuped, Disputed & Pacified Zones" schema is from Julian C. Smith, "A Review of the Organization and Operations of the Guardia Nacional de Nicaragua" (unpublished mss., MCRC, 1933, opposite p. 44). The zones of densest Miskitu & Creole settlement are adapted from Wolfgang Gabbert, Creoles-Afroamerikaner im karibischen Tiefland von Nicaragua (Die Deutsche Bibliothek: Hamburg, 1992). Other features are based on archival sources. Many thanks to Arnold-Grant funded Lebanon Valley College student-researcher Zachary A. Knecht for his excellent work creating this map. (1) Kisalaya mutineer Sgt. Jiménez attack on Kisalaya w/ 50 (April 14); (2) Gens. 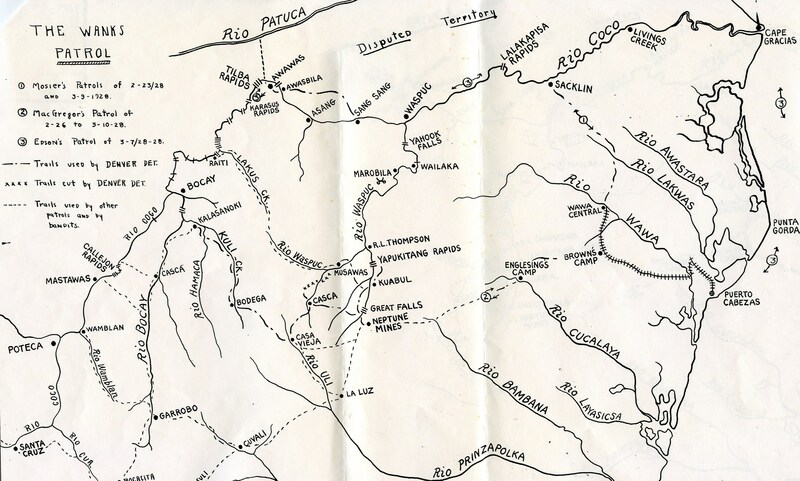 Pedrón & Irías & Peralta raid on Pis Pis w/ 400-500 (May 19-26); (3), Gen. Morales & Col. Abraham Rivera near Puerto Cabezas w/ 80 (May 15-25); Gens.Simón González & Francisco Estrada raid on Vaccaro Farm (July 5-7); Gens. Pedrón & Irías raid of commissaries on Río Grande de Matagalpa (mid-July). On the East Coast Region during the "Year of Peace"